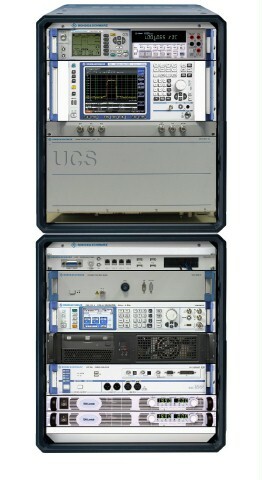 The R&S®UCS226x system enables functional and verification testing of radio families R&S®M3xR and R&S®Series4200. The R&S®UCS226x system enables functional and verification testing of radio families R&S®M3xR and R&S®Series4200. Based on the R&S®UCS test system family – which is the platform used in Rohde & Schwarz production and repair facilities - it ensures high performance during testing and the availability of up-to-date test software. The R&S®UCS226x BASIC system fulfills the specific requirements for on-site maintenance, repair and overhaul and device verification after SKD production. Training packages adapted to the operators’ current skill levels are available. Since the R&S®UCS226x system is installed in rugged, splash-proof 19" boxes, it can be transported safely, set up quickly and utilized at a variety of locations.